Philippine President Rodrigo Duterte has been making loud overtures to Russia. Russia does not have a special strategic military interest in the Philippines, but may sell a set of weapons that could be used for counter-terror and anti-insurgent activities. Philippine President Rodrigo Duterte’s spring 2017 visit to Russia may turn out to be a real path-breaker for the two countries that have generally shied away from each other in the past. While Moscow and Manila finally started discussing defense cooperation last year, experts believe that cooperation in this area is likely to remain limited. Besides the DCA, “a number defense related agreements” are being considered, the ambassador added. The defense agreement is unlikely to be very deep, according to Anton Tsvetov from the Moscow-based high-profile Center for Strategic Research. “This is simply because this aspect of bilateral ties has never been a priority for Moscow and Manila, due to the latter's deep alliance with the U.S.,” Tsvetov told RBTH. Although Sorreta gave no further details, this list is enough to speculate about what specific weapons that Moscow could offer. The fact that most of the Philippine military equipment was gifted by the U.S. should not be seen as an obstacle, Vasily Kashin from the Institute for Far Eastern Studies told RBTH. “On the one hand, there are many examples of Soviet/Russian weapons systems being used by NATO countries, and on the other hand, a considerable part of the Philippine arsenal is old and not up to modern standards in any case,” he said. Kashin told RBTH, that the “small arms” mentioned by Sorreta could be rifles and machine guns of various types. When it comes to rotary wing aircraft, Kashin says it could be “a number of Mi-17 multipurpose helicopters and a few Mi-35 attack helicopters,” which would come to Manila’s aid against terrorists and insurgents. The Tiger armored cars and the Sukhoi Su-25 Frogfoot aircraft would also be of use to the Philippines. 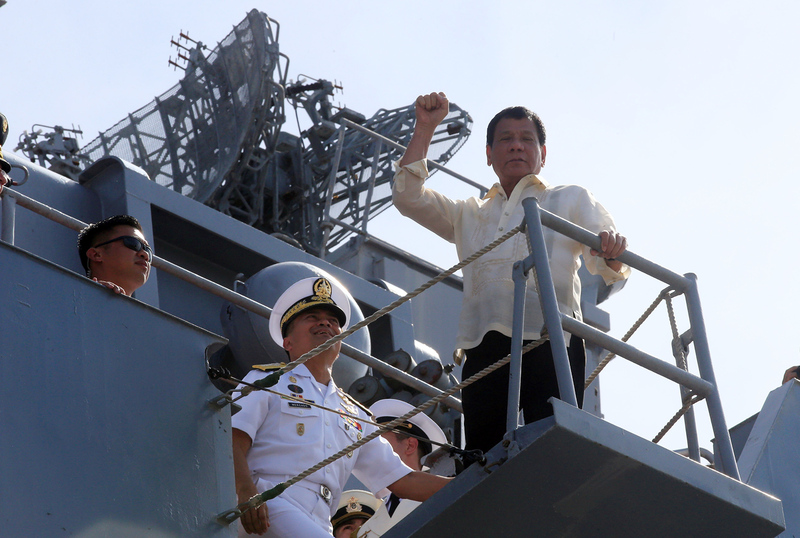 “In some cases, the Philippines does not need the latest high-end weapons, so Russia can sell military equipment from the Soviet period, which only needs to be slightly modernized,” Kashin added. However experts say that arms sales are a bonus for the Kremlin, because it does not have any serious strategic aim to lure the Philippines into Russia's orbit. "If Manila gives Russia the opportunity to visit Philippine ports, that should be enough," Dr.Victor Sumsky, director of ASEAN Centre at MGIMO told RBTH. "Unnesessary tensions between the Philippines and the United States are not in the interest of Moscow".